Peak season for asparagus in the West is April and May, while high season in the Midwest and on the East Coast is mid-May into July. This means farmers’ markets left and right have bunches of the beautiful green spears gracing the stands of many veggie farmers. Utilize this season’s bounty of fresh asparagus with this delightful and refreshing recipe from Sundara Inn & Spa in Wisconsin Dells, Wisconsin. Not only is this unique recipe a tasty way to prepare this springtime favorite that boasts 20 edible varieties, it makes for an incredibly healthful side dish (or, if you eat asparagus like I do, a main course!). A good source of vitamins K and C, potassium and folate, the crunchy green spears are also high in antioxidants and packed with glutathione, a detoxifying compound that helps break down carcinogens and neutralize cell-damaging free radicals. This is why eating asparagus may help protect against and fight certain forms of cancer, such as bone, breast, colon, larynx and lung. Some research even says this vegetable may help slow the aging process! Here’s to spring and delicious eating – bon appétit! Bring water to a boil in a large pot over medium heat. Add the salt and sugar. Prepare an ice bath by filling a large bowl with cold water, then add ice cubes (you will use the ice bath one more time so be sure to hang on to it). 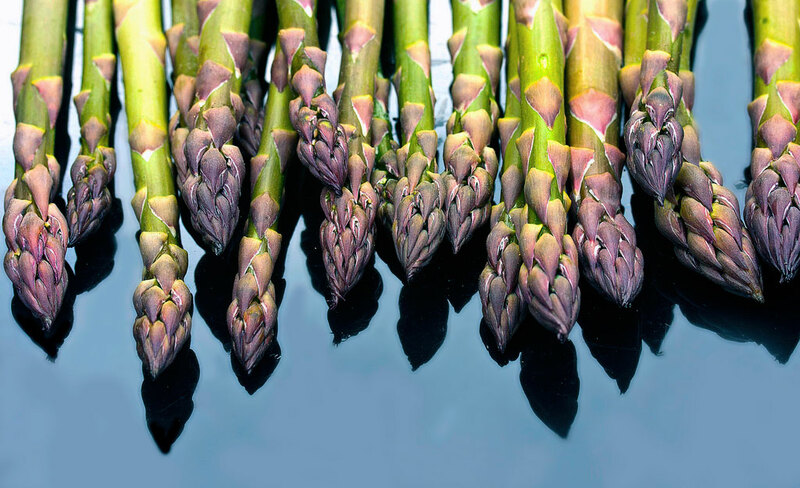 Plunge the asparagus into the ice bath before cooking; this helps to bring any limp stalks back to life. Remove from the ice bath and submerse into boiling water; allow stalks to cook for 2-3 minutes. Using a slotted spoon, remove stalks from water and transfer them immediately to your ice bath one last time. Remove from ice bath and dry the stalks, taking care that no water gets into the final salad. This will ensure that the maximum flavor will be enjoyed! For the dressing, in a medium bowl, combine lemon juice, white wine vinegar, honey and mustard. Stir to blend. Whisk in olive oil in an even, steady stream. When all of the oil has been integrated, taste and adjust the seasoning to taste.